Kin Wai is a tech investor and entrepreneur with broad experience across Asia and Europe. Kin Wai founded his first company at the age of 23 and he has since then been building companies across internet media, software and biotechnology. He was named by the media as one of the youngest Managing Directors of a publicly traded firms in Southeast Asia when he took his first company to a successful IPO at the age of 28. He has to date led half a dozen of technology companies with 6 of them being listed on major stock exchanges in the Asia Pacific region. 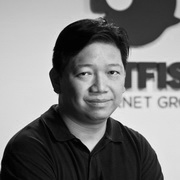 More recently he co-founded the Fatfish Internet Group ("Fatfish"), a regional venture builder that focuses on building internet businesses in Southeast Asia and Australia. Fatfish is among the first of its kind to be listed on the Australian Securities Exchange(ASX).Fatfish has recently set up a presence in Nordic markets. Kin-Wai currently serves as the Chairman of iCandy Interactive Ltd (ASX:ICI), the first smartphone game company to go public from Southeast Asia. He also sits on the Board of various public and private tech companies across Asia and Europe e.g. Peterlabs Holdings Berhad, Sedania Innovator Berhad, Lunch Actually Group and iFashion Group. Kin Wai was a recipient of a full undergraduate scholarship from a Fortune 500 energy company.He received a MBA degree from the University of Oxford and a Bachelor of Engineering degree with first class Honours from the University of Manchester. He was also a faculty research staff and PhD candidate at Digital Communications Department of the Imperial College London.